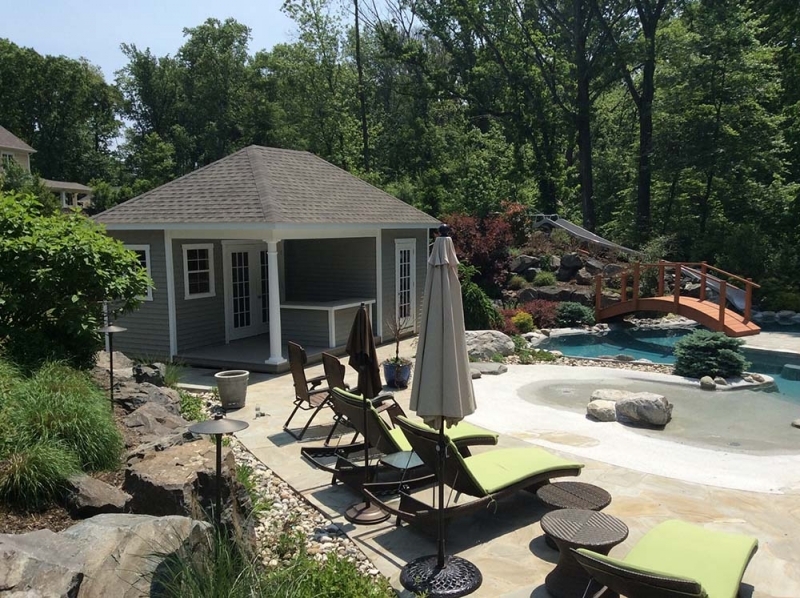 One of the larger pool houses, the bottom portion of the pool house is put in place and then the roof is done on site. 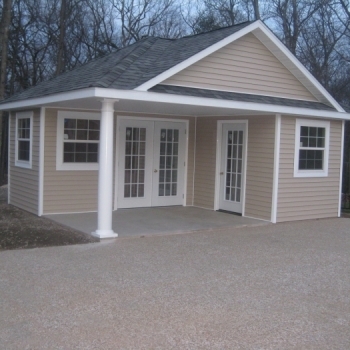 Kits and built on site are always an option as well. 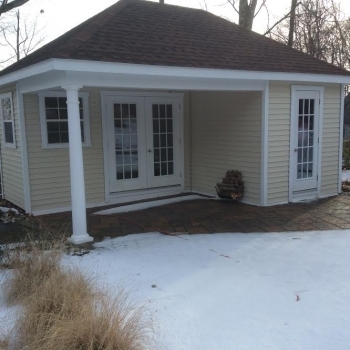 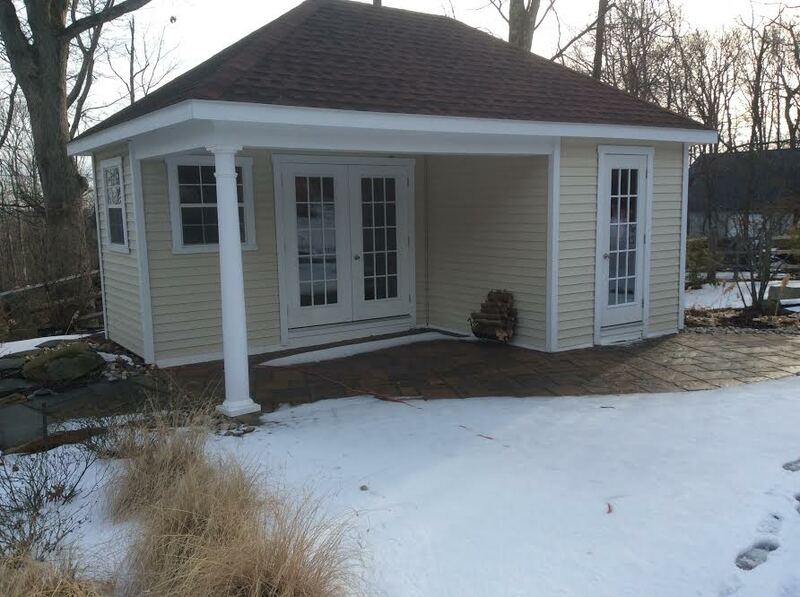 This pool house features a L shape building/storage with a porch area. 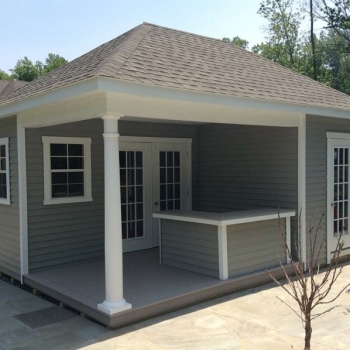 The porch area is a perfect place for a L shape bar/counter. 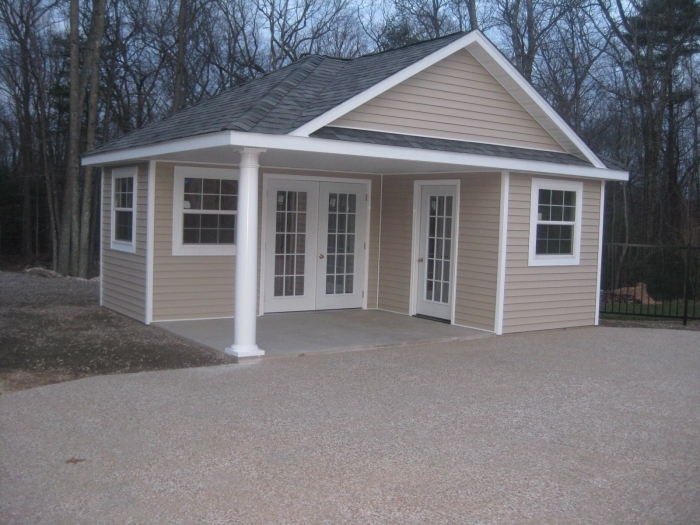 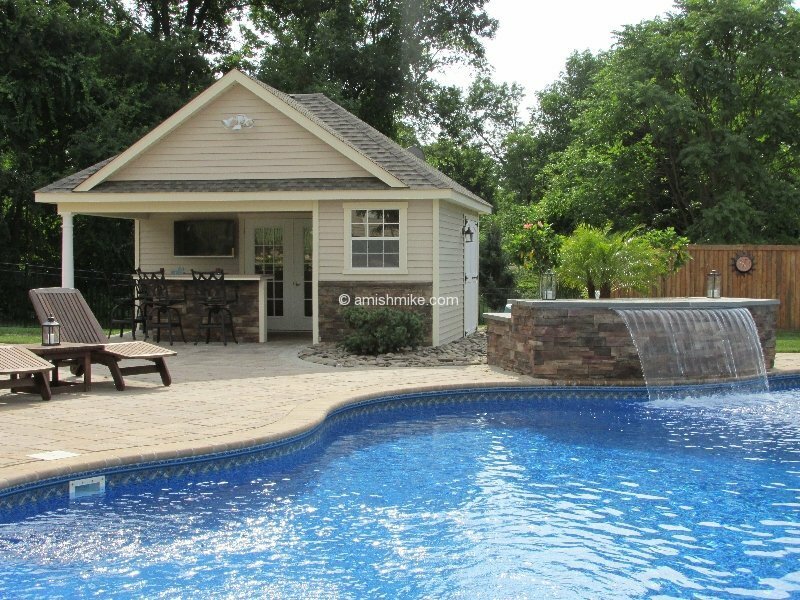 This pool house features 2 windows 24″ x 36′ with trim and set of double doors with any glass option. 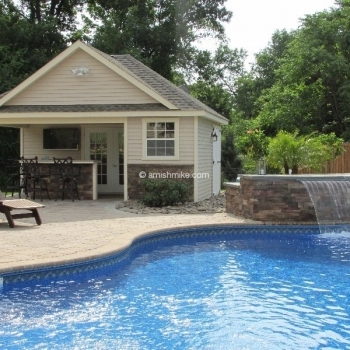 This pool house is customizable to your desired layout. 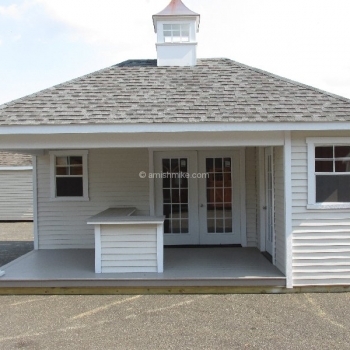 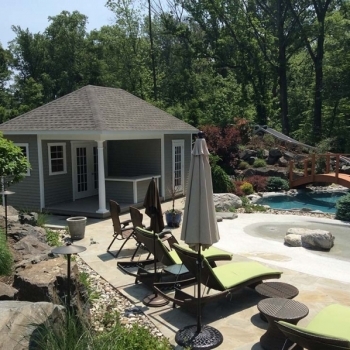 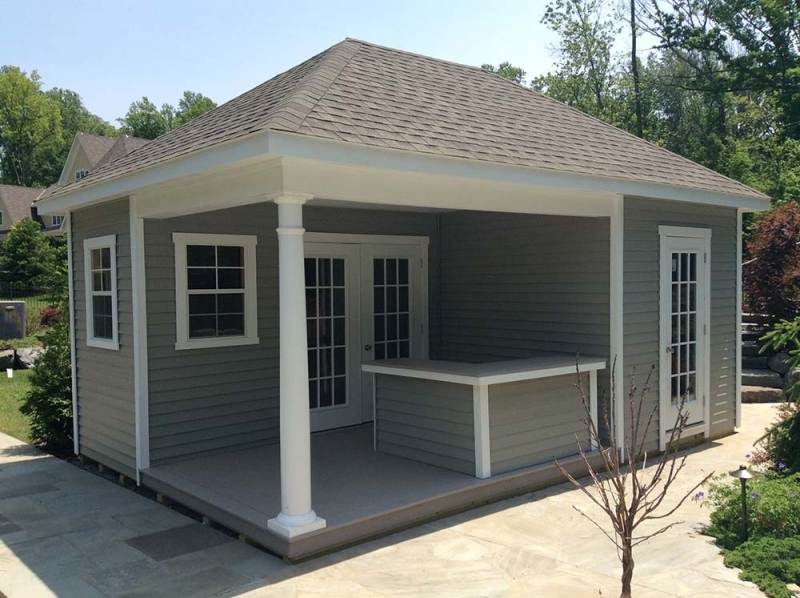 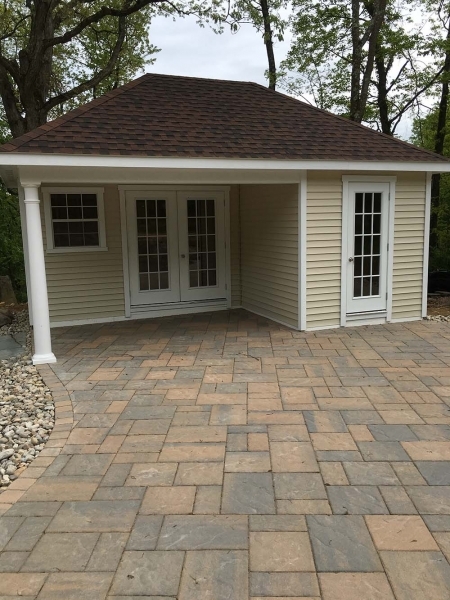 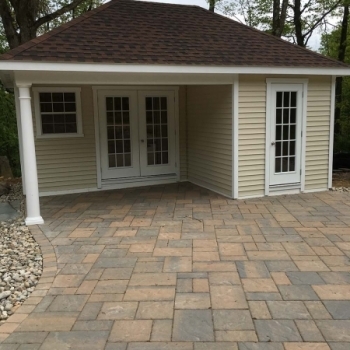 This pool house comes standard with vinyl siding or painted and one 8″ round column. 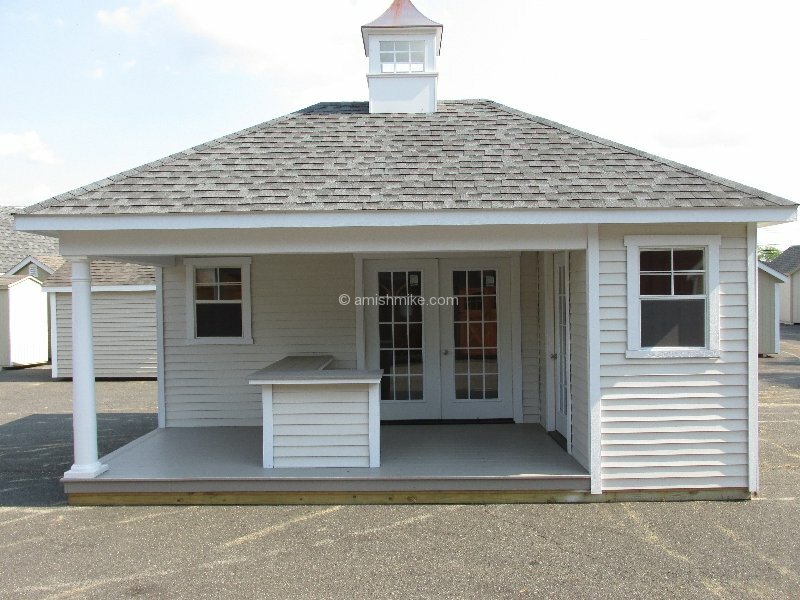 14 x 22 Hip 8 pitch Options seen: vinyl siding, trek porch, knee wall and counter/trek, round columns, 1 extra 24 x 36 window, upgrade doors to 15 lite prehung, finished ceiling.